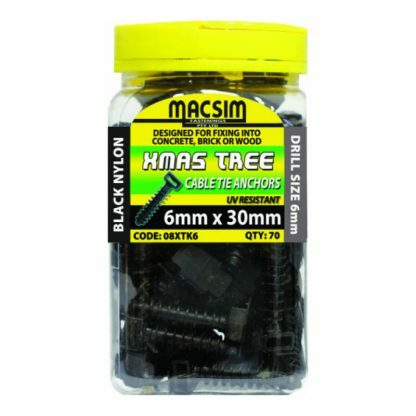 Macsim Xmas tree cable tie anchors are made from nylon. 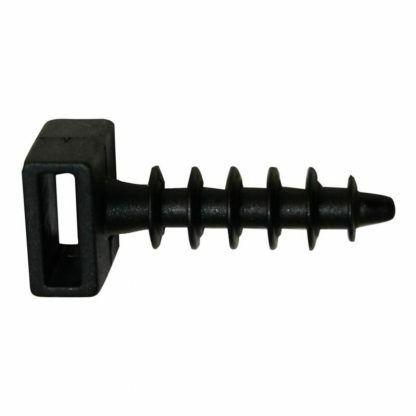 They are available in black or white and come in sizes M6 x 30mm and M8 x 40mm. Xmas tree cable tie anchors are often referred to as Christmas tree cable tie anchors.